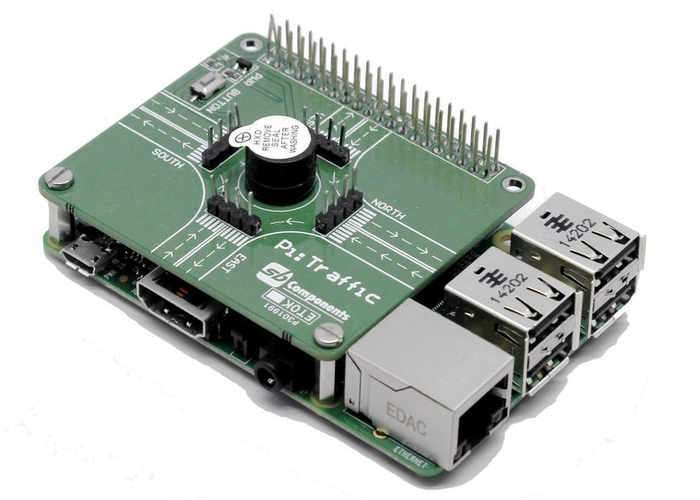 Raspberry Pi enthusiasts or educators teaching students to program hardware using the awesome Raspberry Pi mini PC may be interested in a low-cost hardware interface which has been specifically designed for the Raspberry Pi by SB Components based in London. The Raspberry Pi Traffic Light Shield is now available to back via Kickstarter with pledges starting from just £10 and shipping expected to take place during October 2017. Watch the video below to learn more about the features and functionality of the awesome add-on for the Raspberry Pi, which provides a great educational tool. • The PiTraffic is a low cost hardware Shield designed to allow Raspberry Pi users to take their first steps into interfacing with the real world. Designed with the learning in mind, everyone will recognise and identify its familiar elements encouraging their use along-side their own projects. • The PiTraffic is designed to remove many of the common hurdles people are faced with when getting started using hardware with the Raspberry Pi. 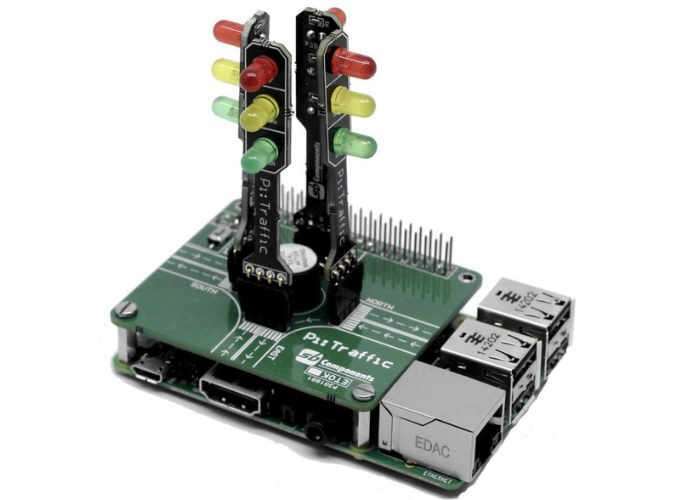 Often it is difficult to know what components to use and how to connect them, the Pi-Stop makes it simple by plugging directly onto pre-set positions on the Raspberry Shield Hat. • By plugging the PiTraffic directly on to the Raspberry Pi GPIO header, no extra cables or wires are needed. Unlike many other add-on boards, they do not block GPIO pins Which are available on the shield, keeping them open for other uses. The PiTraffic is fitted with 4 standard Pins, allowing up to four PiTraffic stands to be controlled independently, There is a buzzer which can be used alert on change of light. • The documentation and guides are openly available for the PiTraffic for educational use. There will be guides, tutorials and workshop material available all of which can be taken as is available or adapted to your own needs. • The materials will demonstrate the concepts, methods and provide the building blocks to explore ideas and take learning further by with creative projects, activities and games. Jump over to Kickstarter to make a pledge and for full specifications.